Indeed, there are more reasons to celebrate Yuletide cheers in the country's biggest malls as they bring new, stylish and earth-friendly eco bags that are sure fit to your changing look and style! 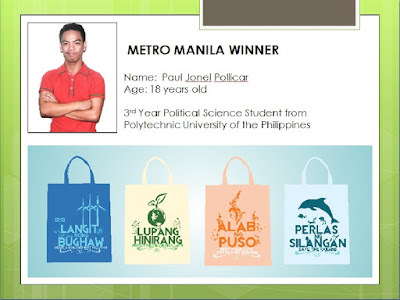 The SM Eco Bag is one of the major initiatives of the Program on the Environment, an advocacy of SM Cares, the Corporate Social Responsibility Program of the SM Supermalls. 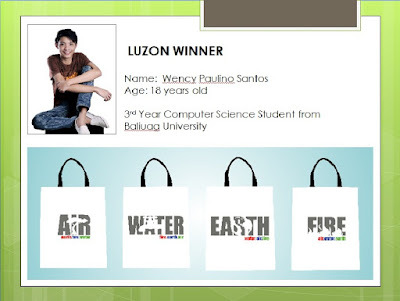 It was first launched back in 2009, where Manny Baldemor get to design the first ever SM Green Bag. 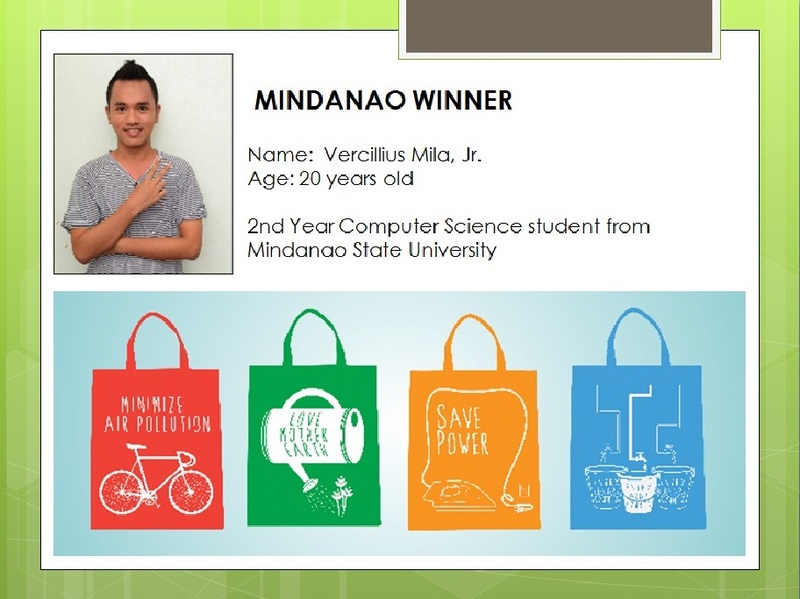 With a theme of "Creating awareness of environmental concerns", this green bag has been SM's tool in promoting the care for mother earth and helping the environment free from undesirable non-biodegradable items. And this year, SM Supermall makes it bigger and more stylish as it launches 4 sets of designs that are made by young and talented high school and college students from the four major parts of our country. 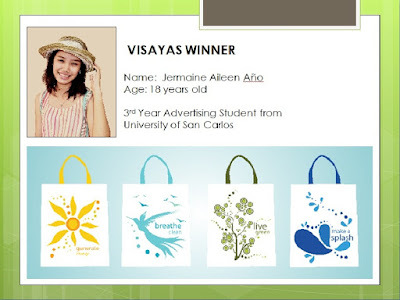 From the exciting and very creative design contest, 4 designs emerged from the entire selection giving our beloved eco bags some young, fun and colorful look. 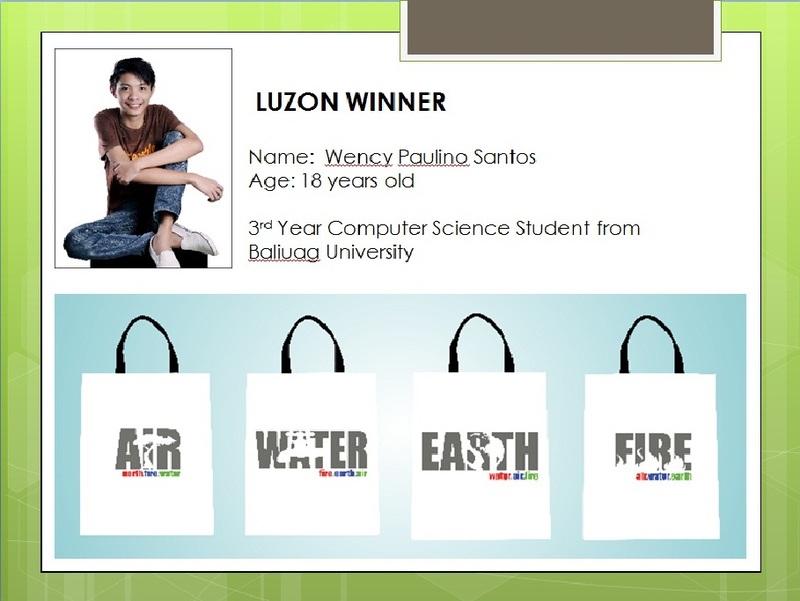 With the theme “Engage to Change”, the campaign became a nationwide search for new designs bringing more than 600 entries. This campaign provided a more concrete avenue for SM, as an integral part of society, to do its share in engaging the youth and community in caring for the environment. They were awarded with Php25,000 and the new iPad as recognition for their outstanding creativity and individual contribution for the worthy cause. Likewise, the schools that the students represent will also get Php25,000 from SM, in support for their individual environmental projects. The project aims to promote sustainable shopping habits by creating awareness and encouraging SM customers to utilize reusable bags. As a responsible mall developer, SM aims to foster stronger ties with the community by educating them about various environmental issues. The project also supports various local governments by adhering to numerous ordinances that promote the prudent use of plastics. Even beyond advocating reusable bags, SM fosters more mindful practices by utilizing biodegradable plastics. As of this month and year, 3.2 million bags are out in circulation all over the country. 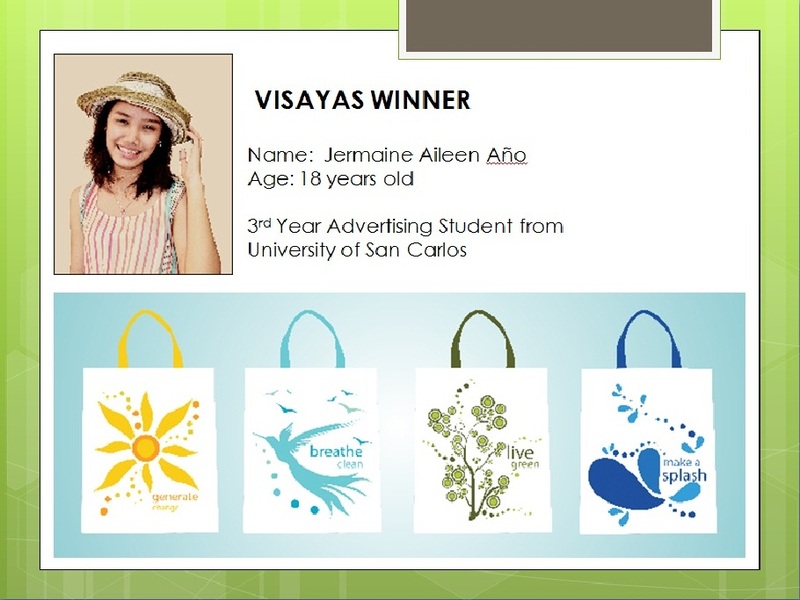 I must say, for an SM Eco Bag user like me, these new designs entice me more to shop at SM. Because more than its stylish look and functionality, these SM Eco Bags are the future bag of every shopper in town for sure! Hehe. Because the no plastic bag campaign is all over the country now. These SM Eco Bags are now available at all SM malls! So hurry now and start collecting them! I personally like the designs of Jermaine, but I think all of them looks nice and good naman. Congratulations, SM and to the four young winner!